At Asian Couture we stock the latest Readymade Suits for casual, Eid, Party or Wedding Wear. Our Designer Ready To Wear Suits are affordable and available in for all sizes for Petite, extra small to extra extra large, Plus size. 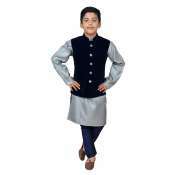 Buy now our asian and indian Ready Made Suit in all materials and and styles. We offer UK Next Day Delivery service and Express World Wide Shipping! So What You waiting For Ladies. Shop with Flair! Asian styles are marked by an excess of colours and textures in Indian clothing. The influential attraction is the rich colours and fabrics used. International globalisation has enabled traditional asian clothes to have a flair of westernisation injected into them. Although the majority of the first generation Indian women wear traditional outfits, the new generation are more experimental and wear Indian and Indo-western suits. At Asian Couture we infuse all these ideas with cultural trends and make our ready made suits come alive in your wardrobe. We offer Indian ready made suits that are exceptional in design and cater for both your traditional and western needs. We stock the latest Ready Made Dresses for casual and party wear & Wedding lenghas. Our trendy ready-made suits are exclusive designs for all sizes from extra small to plus sizes. The material they are made from have no limitations; from luxurious chiffon to raw silk and georgette. Our ranges of ready-made suits are appreciated with all age groups. Why not buy an outfit for each member of your family for a party or a wedding – to achieve a unified family look. The styles are more extensive and you have different styles to choose from. We also have ready-made summer lawn cotton dresses and much more to select from. Why not browse through our collection of churidaars, patiala salwars and palazzo pants. We deliver in the UK, Europe, USA, Canada and the UAE. In the UK we provide next day delivery to Manchester, East Midlands, Leicester, Luton, London, Birmingham, Scotland, Wales, Sussex, Bradford, Dundee and Edinburgh. Our standard delivery is charged at £3.99 per order which covers UK Mainland. We also charge £6.99 for next day delivery for the UK Only.WE Also do Weeekend Delivery Now. A Stunning New Ready Made Kurti base on Cotton Slub Fabric. Inner kurti is of Rayon Printed. This is..
Ready Made Brown Colour Designer Churidaar Suit. Mesmerizing design to look glam for any party or ge..
Ready Made Black Colour Designer Churidaar Suit. Mesmerizing design to look glam for any party or ge..
Ready Made Yellow Colour Designer Churidaar Suit. Mesmerizing design to look glam for any party or g..
TOP : STUNNING FABRIC TAFFTA AND JUTE JACQUARDGOLDEN TAFFTA AND VISCOSE BUTTI SHIRTHALF BAN NECK LIN..
TOP : FABRIC CHANDERI,AMERICAN CREPE, CHIFFONJACKET STYLE BROWN COLOR SHIRTCHANDERI BUTI SHIRT WITH ..
TOP : FABRIC GEORGETTE, CHIFFON AND AMERICAN CRAPEONION SHADE SHIRT WITH FULL SLEEVESEMBROIERED NET .. Unique & smart longline dress with jacket style layered bodice. Fabric : Polyester Band..
TOP : FABRIC: GEORGETTE, CHIFFONLONG A-LINE DRESSBEIGE BUTTON DETAILINGBEIGE CUFFS BOTTOM : MATCHING..
TOP : STUNNING FABRIC GEORGETTE AND CREPEHALF CIRCULAR MUSTARD DRESSSBLACK PRINTED BOLD BORDER IN CI.. Simple yet stylish beige top with tribal print trouser & plain dupatta Fabric : Polyester ..
TOP : STUNNING FABRIC GEORGETTETURQUOISE BLUE CIRCULAR DRESSGOLDEN EMBROIERED SLEEVESBOAT NECK WITH ..
PISTA READY TO WEAR SKATER STYLE DRESSBOTTOM : CHURIDAAR DUPATTA : CHIFFON DUPATTAReady Made Suit (R..
TOP : FABRIC GEORGETTE AND AMERICAN CREPEBLACK AND WINE PRINTED JACKET STYLE SHIRTATTACH YORK AND FR..
TOP : PRINTED CRINKLE RAYON SHIRTBLUE PATTI AND BUTTONS TILL THEN LENGTHCOLLER NECK, FRONT OPENINGP..
TOP : STUNNING JACKET STYLE SHIRTBLACK PLAIN GEORGETTE ATTACHED JACKET WITH GOLDEN LACEPRINTED BLAC..
TOP : STRAIGHT GEORGETTE DRESSBLACK NET INSERT IN CENTER WITH GOLDEN LININGROUND NECK LINEBLACK FULL..
TOP : BLACK GEROGETTE A LINE DRESS.BLACK AND GOLDEN CHANDERI PANEL INSERT IN THE CENTER WITH DETACHA..
TOP : VISCOSE BUTTI GOLDEN JACKET WITH DORIBLACK EMBROIERED PATCH ON FRONT FOR HOLDING BOTH SIDES OF..
TOP : STUNNING FABRIC CHIFFON AND AMERICAN CREPEFULL SLEEVESBOTTOM : CHURIDAARDUPATTA : CHIFFON DUPA..